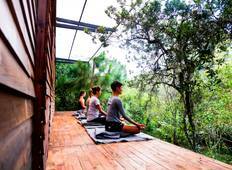 Find amazing yoga retreats in South America. There are 7 retreats to choose from, that range in length from 7 days up to 28 days. The most popular month for these yoga getaways is May. "Amazing! I highly recommend visiting La Casa de Loto if you’re looking for a solid..."